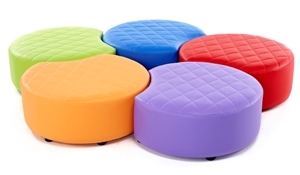 The Quilted Snuggle Seats are supplied as a set of 5 seat in bold primary colours. The seats are made with a quilted vinyl for extra comfort. 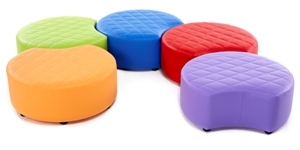 Made to order in the UK the seats have a solid wooden frame.